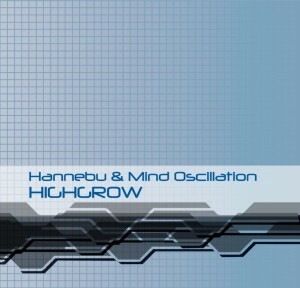 Hannebu (Tasos Mantzounis) & Mind Oscillation (Panos Karampalasis) join forces to bring you Highgrow, a new album released by UK netlabel Cosmogenesis Recordings. Hailing from Thessaloniki, these Greek psytrance producers bridge the gap between full-on and darkpsy with a mix of influences from both styles. The resulting fusion is pure psychedelic bliss for the dance floor. Artwork by An Ka Sue. MP3 Download | FLAC Download | WAV Download · Download count: 9,587. Released under a Creative Commons licence for noncommercial usage. Check out the Cosmogenesis Recordings discography for more free psytrance! Absolutly Nice One! tHX EKTOPLAZM & COSMOGENESIS!!! I don’t see this as being half Dark Psytrance at all. Except for one song; Mind Oscillation – Musician Magician, it all sounds like your standard bouncy ball, looped fullon. The only mild difference I can hear is a harsh use of filters, but that hardly makes it Darkpsy in my book. Very Good music!! !Respect guys from russia))!!! Hi guys… great to here your music.. ! !